There are so many OSHA regulations that you need to understand. 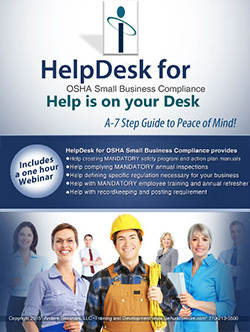 Do you wish you had an "OSHA HelpDesk"? Well, now you do! Learn the OSHA requirements for small business and have your business "OSHA inspection-ready" with the solutions in this product. 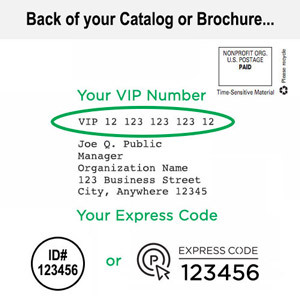 This compliance-based software is designed to equip small businesses with a 7 Step Guide to Peace of Mind. The program contains OSHA regulations, mandatory and optional self-inspection checklists, forms, fact sheets, guides, PowerPoint training tools, samples of the mandatory plans and programs, and much more. A 45 minute webinar will explain the process of creating a program and becoming OSHA compliant.